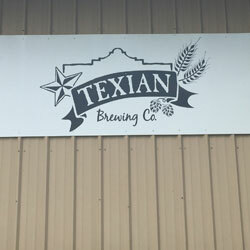 Texian Brewing Company is located in Richmond, Texas, just west of Sugar Land off 59. This Texas-themed brewery is wide open and has plenty of parking in the back. 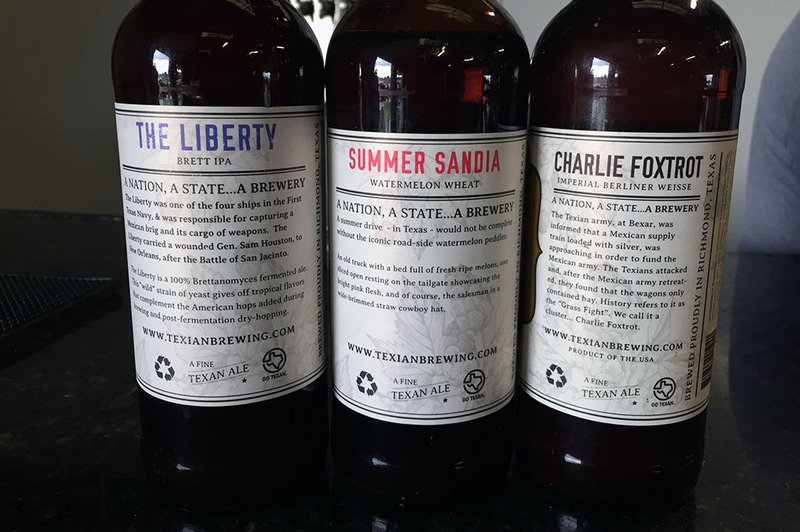 On a glorious Texas summer day, we headed over there to celebrate Craft Beer Friday. The beer was cold, the environment was inviting, and the guys who head up the brewery? They made us feel as if we had been friends for years. 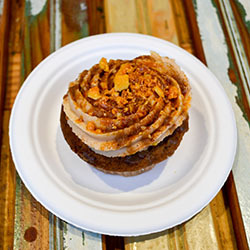 Here at Good Eats, our favorite day of the week is Friday. That’s the day we get off early and go sample a new craft brewery. We learn a bit about what makes them tick and the background story that makes them unique. We then provide you with a synopsis, so you’ll know what to expect when you pay them a visit. A tough job, I know, but somebody’s gotta do it! Texian Brewing Company is set up such that you’re constantly reminded of where you are throughout the entire experience. 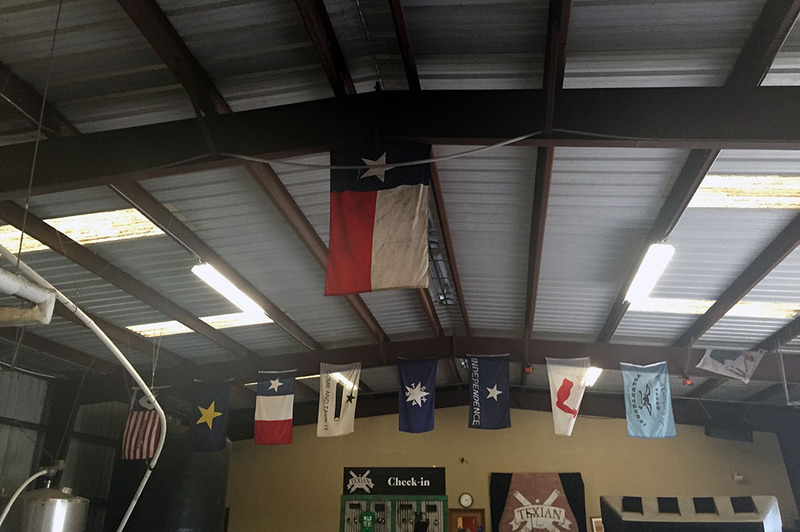 As you walk into the tasting area/ brewing facility, you immediately notice the six flags that have flown over Texas since the first Europeans arrived (for you out-of-towners, six flags is not just the name of a theme park… it has meaning). Being a native Texan myself, I grew up enjoying our state’s rich history and love to be reminded of it while drinking wonderful craft beer. 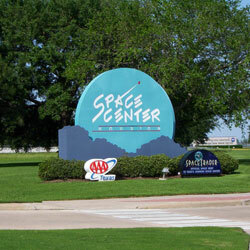 The area is wide open and you would think that in this Texas summer heat we all love, it would be dreadfully hot. But that is not the case; the fans and cooling system do a very good job of keeping things comfortable – I never even broke a sweat! 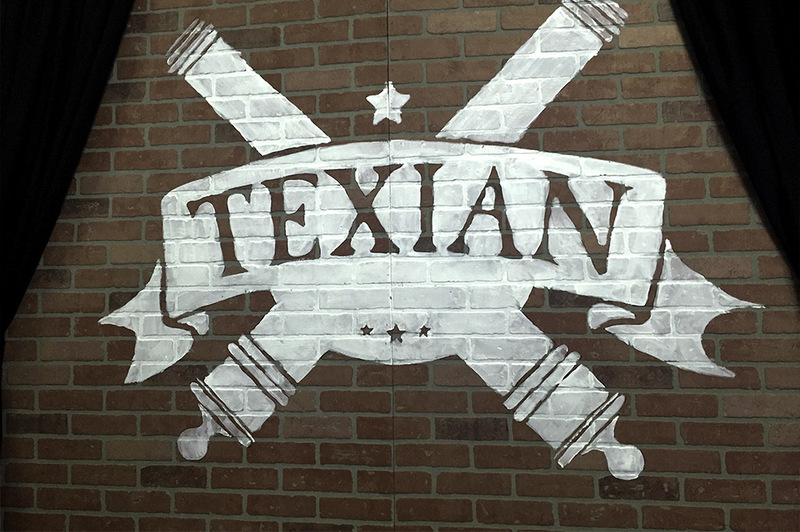 There’s a stage for comedy shows and live performances as well as a merchandise section chock-full of Texian gear! It’s the perfect place to hold a party or a special event; there’s lots of space, plenty of seating and a stage – what else could you need? Check out their website for news about the brewery and to find out about any scheduled events. Guided tours are available as well. 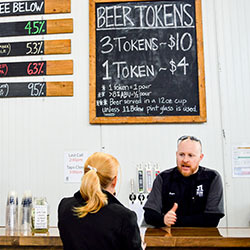 The family-friendly environment at the Texian Brewing Company makes it a great place to come out with the kids or a group of friends for a picnic or any other group outing. 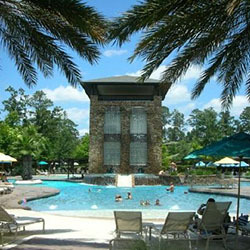 It is pet-friendly as well, just make sure your furry little buddy is well-behaved and on a leash. There’s usually a food truck available, but you can bring your own goodies if you like. Keep in mind, though, that this is a brewery and not a convenience store. They sell beer… cold beer. If you want anything else, including water, soft drinks or any other type of drink, you must bring them with you. 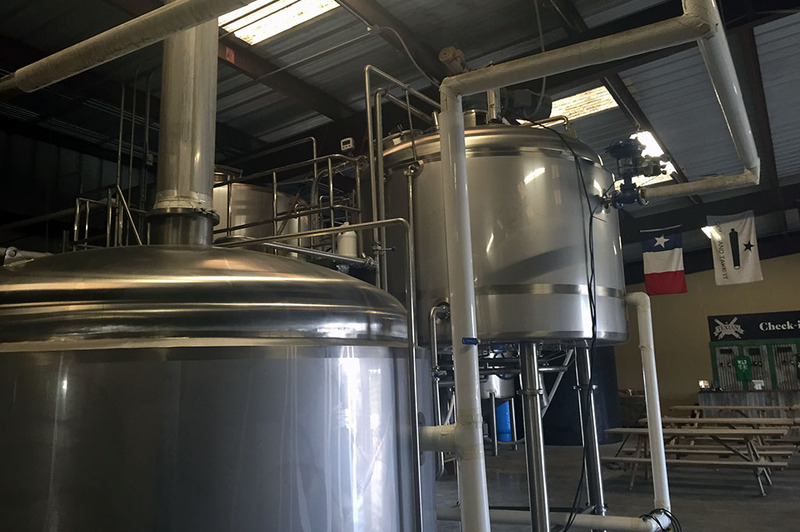 The Texian Brewery is a must-visit while taking a tour of Top Texas Craft Breweries. The folks are real friendly around these parts and not only do you get to taste Top Texas Craft Beer, you get a quick Texas history lesson at the same time! The color of pale lager ranges from light bronze to nearly transparent and the alcohol anywhere from 4-6%. Adjunct usage may be quite high, though in some cases the beer is all-malt. Carbonation is typically forced, though not always. One thing that does not vary is that neither the malt nor the hops make much of an impression on the palate. These beers are brewed for minimum character, though faint traces of hop or malt may show through. Commonly detected features and flaws include fusels, oxidized malt and skunked hops. The body will often be thin and/or spritzy while the finish is typically mildly bitter. 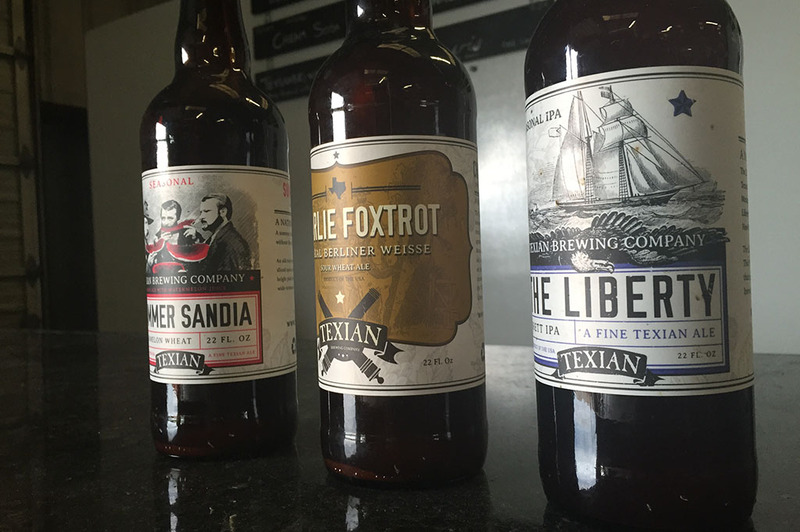 Charlie Foxtrot is an “Imperial” Berliner Weisse brewed to combat the Texas heat. This sour wheat beer is tart and dry with citrus and peachy notes from the sour fermentation.